A funeral Mass for Sister of St. Francis of Philadelphia Dorothy Epple will be offered June 30 at Assisi House in Aston, Pa. Sister Dorothy died June 24. She was 86. A native of Baltimore, Sister Dorothy was a parishioner of St. Elizabeth of Hungary in Highlandtown and a graduate of Mount de Sales Academy in Catonsville. She had been a professed member of her religious order for 66 years. 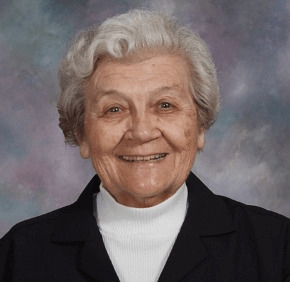 Sister Dorothy ministered as director of student personnel at The Catholic High School of Baltimore from 1978 to 1983 and was a member of the provincial council for the former St. Joseph Province for the Sisters of St. Francis from 1981 to 1985. She worked with sisters in Maryland, Delaware, Washington, D.C., and the southern United States. Sister Dorothy also ministered at what is now University of Maryland St. Joseph Medical Center in Towson from 2000 to 2001. She served at schools, parishes and in congregational ministry in the Diocese of Harrisburg for 30 years, the Diocese of Trenton for 17 years, the Archdiocese of Philadelphia for 10 years and the Diocese of Wilmington for two years. Sister Dorothy earned a bachelor’s in education and a master’s biology, both from Villanova University in Villanova, Pa.